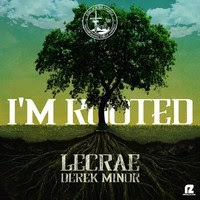 New Song by Lecrae for the Kids Across America Summer Camp (KAA).Derek Minor is also featured on the song. According to their website, KAA is a summer camp that has been transforming the life of Urban Youth since 1978. Their mission is to build leaders by encouraging urban youth and their mentors thru camping and education. About KAA Kids Across America Kamps are the largest family of Christian sports camps in the nation specifically designed for urgan youth and youth workers. The camps are located in Southwest Missouri on the beautiful shores of Table Rock Lake. They have four camps for ages 9 - 18 and provide cutting edge training for the group leaders who bring in campers. They have ten-7 day sessions for each age group. KAA has been called a sports paradise for kids, as well as an oasis for the youth workers that bring them. Over 30 sports and recreational activities are offered. Each day is filled with new adventures and learning experiences. Every sport taught at camp is reinforced with Biblical principas. Kids Across America hires a staff of over 600 of America’s most dedicated Christian athletes to serve at camp. The staff is screened carefully and selected based on Christian character, love for youth and athletic skills.